The Masjid is located inside a large brown brick office building at 1 East Main Street in Flemington. The building is at the corner of East Main Street and Pennsylvania Avenue. 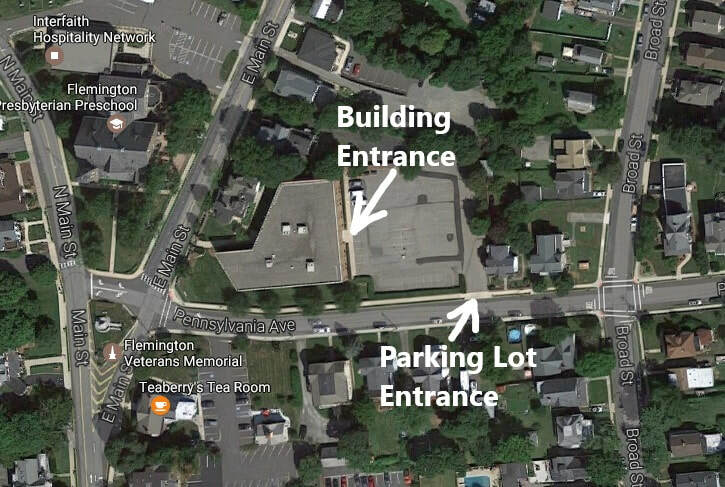 The parking lot is off of Pennsylvania Avenue, and the entrance to the building is from the parking lot. See map above.